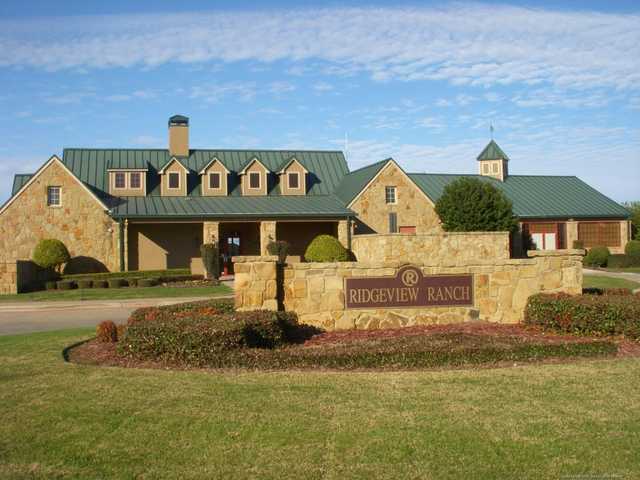 Ridgeview Ranch is a Jeff Brauer design that opened in 1997. 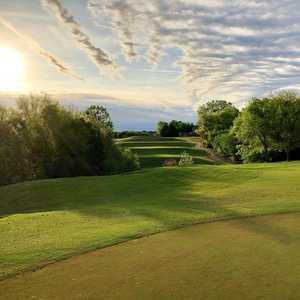 It’s friendly to the average golfer because there are rarely forced carries of water or sand to reach the large greens, making short approaches good candidates for easy ups and downs. The design rolls through hills and trees, incorporating two creeks that come into play. 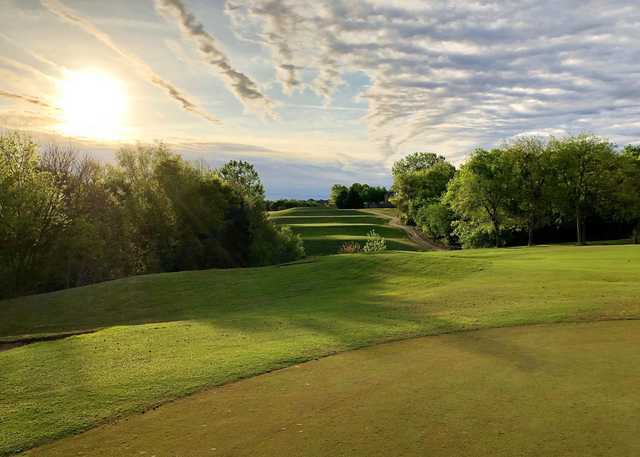 The fairways are average-sized and flat, although there are a few surprising elevation changes for this flat part of north Texas. The course rolls through a housing addition and some of the holes are very tight. Nos. 7 and 11 stand out in particular. 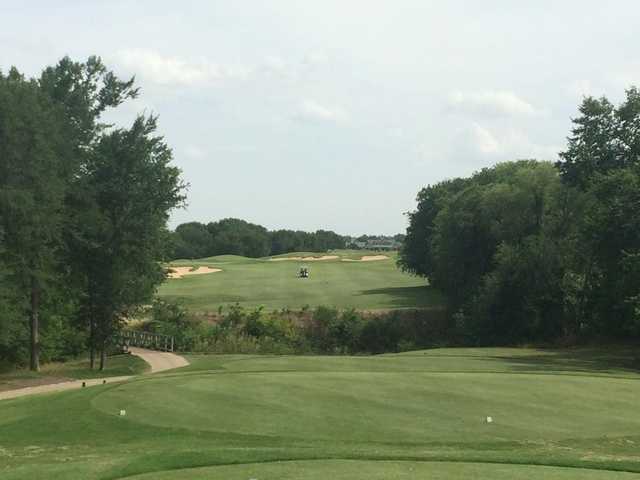 The 7th goes 161 yards over White Rock Creek to a sloping green. No. 11 is tough because is plays well over 400 yards uphill into the prevailing wind. Other notes: Carts are mandatory on weekends before 2 p.m. The cemetery next to the No. 3 green has graves dating back to 1800 and a historical marker to commemorate the settlers commissioned by Stephen F. Austin. Getting there : From Dallas, travel north on the Tollway and exit Spring Creek. Turn right and drive 5 miles to Independence. Turn left and drive north to Ridge View Dr., then take a right and the course is on the left. Fast pace on a saturday no less. fairways in really good shape, greens in good shape. $49 with cart. Very pleasantly surprised. The facilities are modest but up-to-date and clean. Food was average to good. 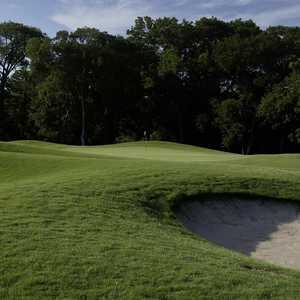 The course itself had plenty of challenge for a mid-handicapper like me. There were some tight fairways and elevated greeens. There was ample opportunity to lose balls. The greens were in very good shape - they ran fast and true. They are a bit hard. Sand traps were not well raked - appeared to be unraked from the day before, but the sand was soft with no surprises. Elevation changes are unusual for North Dallas. I have played the course multiple times over the last month. Each time I call for a tee time they never mention they are punching the greens. They do three or four at a time but never mention it on the phone. Yesterday was the worst. Four of the greens were like putting on the beaches of southern California. 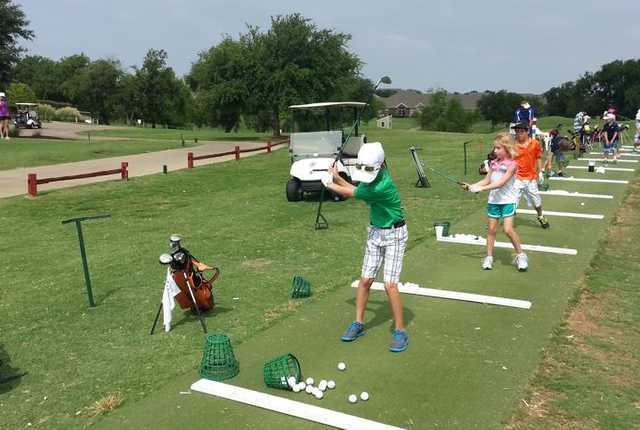 Get clarification of the green status before you play. 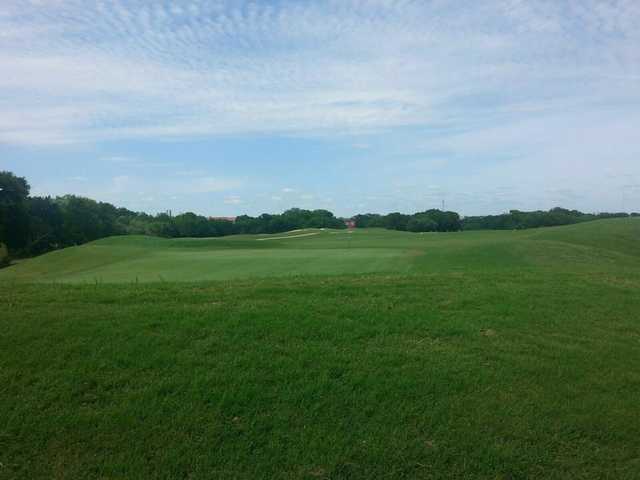 Twin Creeks is a great alternative.